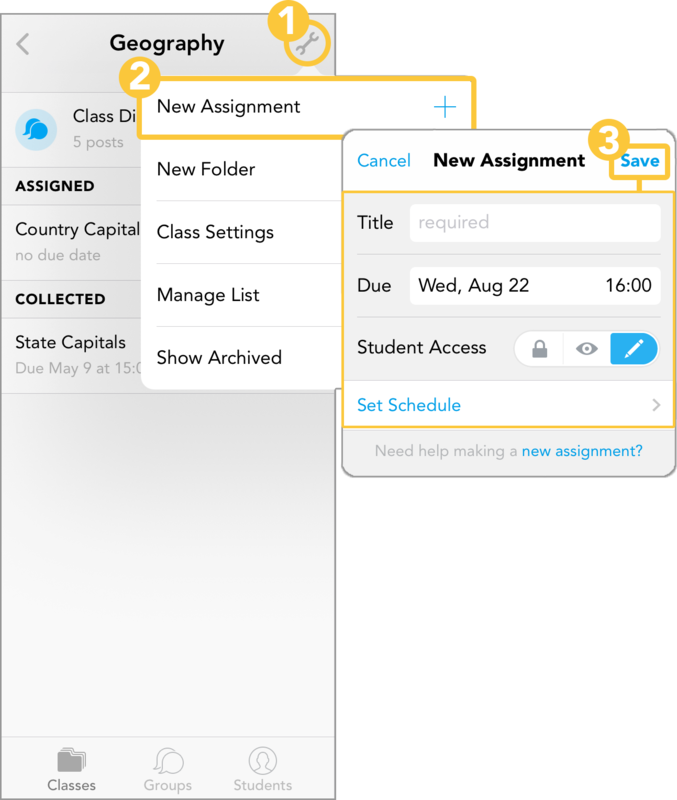 After creating a class, create an assignment to post files and share resources for your students. Once you have made an assignment, editing assignment settings brings up new options: Edit Schedule, Export Grades, and Copy Assignment. Find out more about what they mean here. 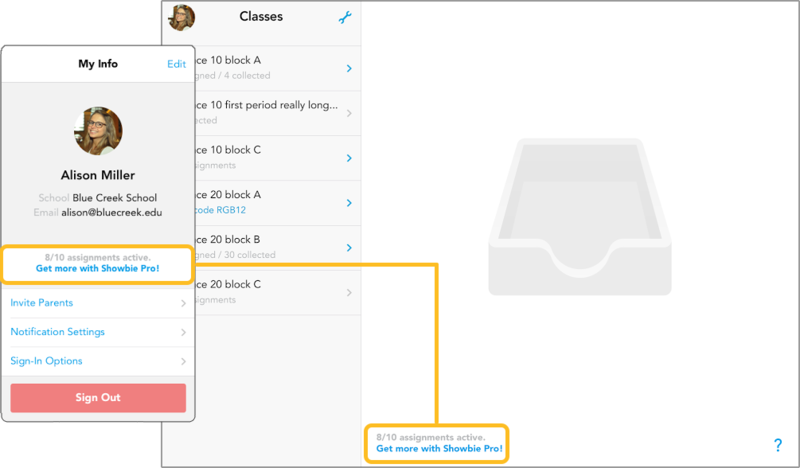 As a Pro teacher, you'll be able to have an unlimited number of active assignments. Basic Teachers will be able to have up to 10 active assignments. Archive an assignment to reduce the number of active assignments you have. You can see how many active assignments you have in the bottom corner next to your sidebar or in your profile. Now that your assignment is set up, take a look at this video to learn about workflow essentials. You’re well on your way to an awesome workflow with Showbie! Next, learn how to upload files, and see how using the shared folder can save you time! Wondering how Student Access and Scheduling works? There’s a guide for that! Assignment list getting too long? Not using some of them? You can archive an assignment to clean it up!